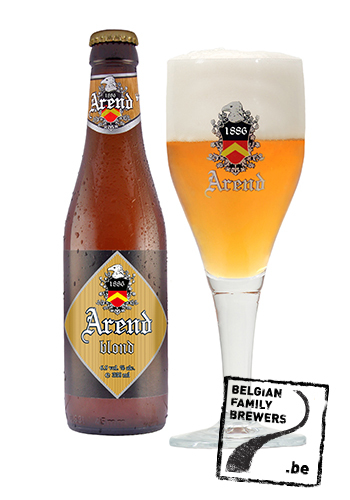 Arend Blond is a blond, golden coloured beer with a dynamic complex of flavours. You will discover spicy-sweet notes in combination with a scent of fresh hops. 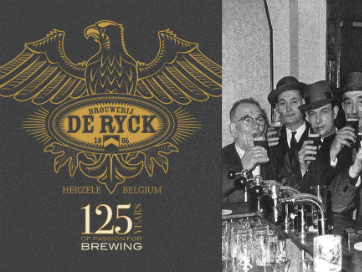 Brewery De Ryck was founded in 1886 by Gustave De Ryck under the name Brewery ’De Gouden Arend’, as a tribute to his teacher of ‘Brauerei zum goldenen Adler’ in Bremen, where he did his traineeship. At that time the brewery produced a blond and dark beer, ‘Uitzet’. Gustave was succeeded by his son Clément and his two daughters Valerie and Julia. Considering the brewery survived two world wars, we can conclude they were very dedicated to their tasks.